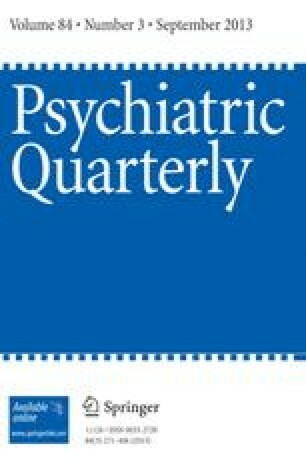 The effectiveness of Rauwolfia serpentina drugs in the control of overt anxiety in ambulatory psychiatric patients is equal to that of a conventional treatment of anxiety, as shown in a study of matched patient groups. Three forms of Rauwolfia, reserpine, alseroxylon and the whole crude root, gave the same results in the control of overt anxiety in ambulatory patients. Techniques for the clinical use of the Rauwolfia drugs are reported. A wide variety of minor toxic symptoms in the use of Rauwolfia drugs was noted and easily controlled. Depressive symptoms are not altered by Rauwolfia drugs given at the quantity and duration levels of this study. From the Lafayette Clinic and Wayne State University College of Medicine, Detroit. The reserpine (Serpasil) was supplied by Ciba Pharmaceutical Products, Inc., Summit, N.J.; the alseroxylon (Rauwiloid) was from Riker Laboratories, Inc., Los Angeles; the whole root (Raudixin) was furnished by the Squibb Institute for Medical Research, New Brunswick, N.J. Acknowledgment is made to James L. Baker, M.D., for his clinical collaboration in this study which was done at the U. S. Public Health Service Hospital, New Orleans. The paper was completed in 1955.